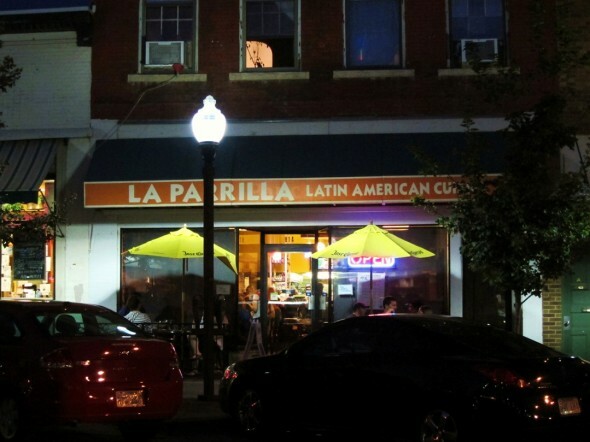 La Parrilla is an obvious favorite in Lawrence. Just stroll by on the weekend, or late into the weekday evening, and you’ll see plenty of happy faces chowing down on some satisfying Latin American food. This Lawrence restaurant has been around since 1999, and is known for its light but filling meals (greasiness is not a factor here) and its vegetarian friendly dishes. Shot from the back. Busy night! Bright bar area in the back. The interior, while a bit cozy, boasts vibrant colors and festive decorations. 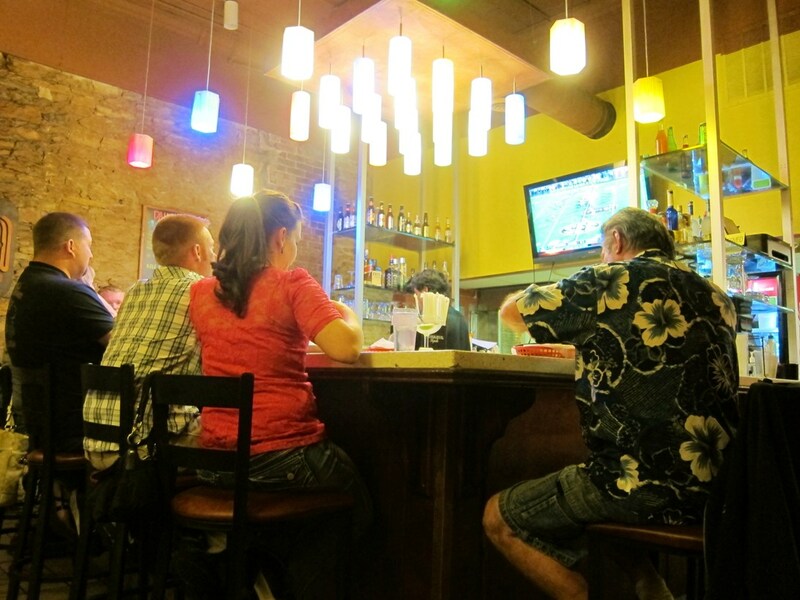 It’s a casual environment, and while the space is quite open and your neighbor may be an elbow’s length away, it’s still easy to hold a conversation with your date. The night we visited was particularly busy, and we were seated in the back, in a semi-awkward spot. But the service didn’t waiver, and the food came so quickly, we were happy campers. Also: the minute you sit, the chips and salsa appear. This could have been my meal (constantly refilled means constantly eating them). The chips are warm, the salsa is deliciously balanced (not too spicy, not too sweet), the self-control is gone. 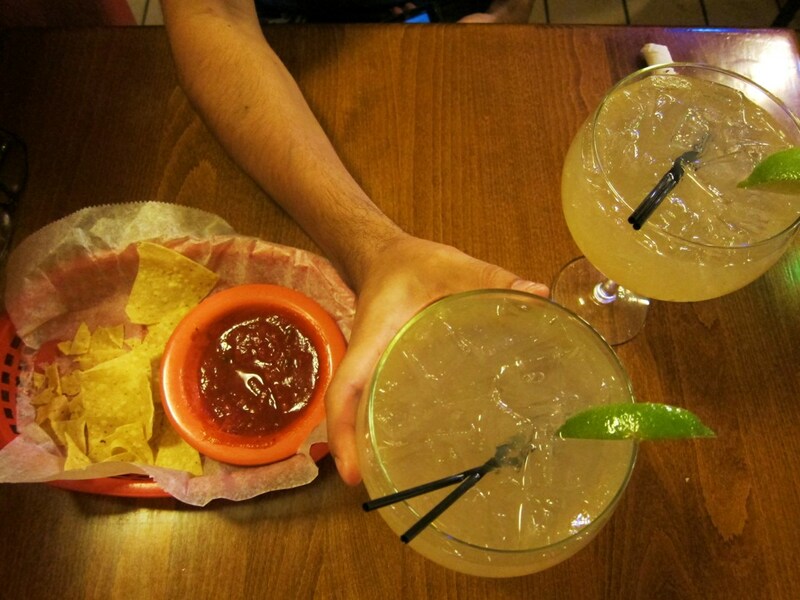 Margaritas as big as your face! Our drink of choice was the 27oz margarita ($5 on Fridays and Saturdays!) which was good to the last drop. For the meal, the hubs ordered enchiladas rancheras (cheese and onion) and I went with the beef nachos (extra side of jalapenos, please) and a single beef taco on the side. It was all incredibly tasty, and definitely authentic (the flavor, the perfection of the dish). It’s a treat to dine here, and totally affordable as well. Our meal came to a total of $29.30 ($36 after tip). 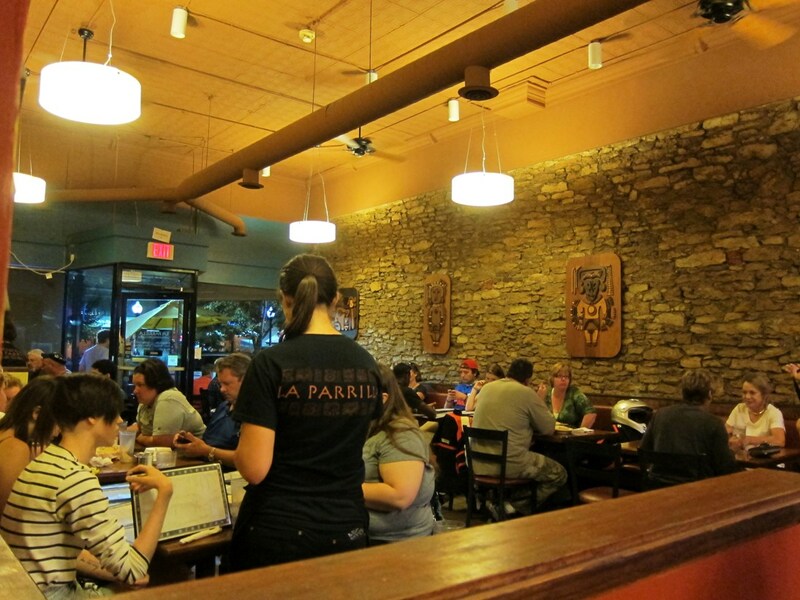 On the nights you want delicious and inexpensive food, with no fuss and no wait, La Parrilla awaits your visit. This entry was posted on Tuesday, September 18th, 2012 at 3:23 am. 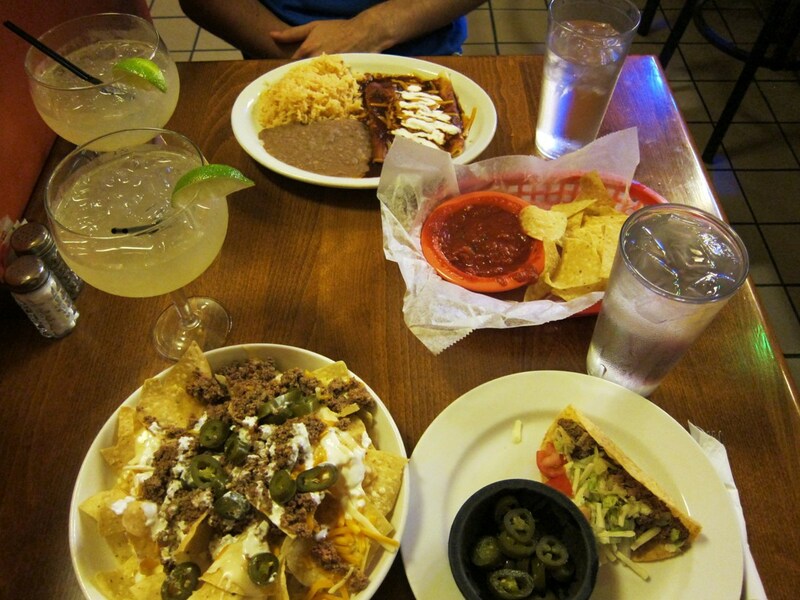 It is filed under Restaurants and tagged with dinner, La Parrilla, Latin American cuisine, margaritas, restaurant. You can follow any responses to this entry through the RSS 2.0 feed. I like the quesadilla suzia.. amazing cheese, caramelized onions and avocado!